Thanks for stopping by. We’re Curata, web development and consultancy with offices in Brisbane and Hobart. We’ve all got our specialist skills, but collectively we live and breath where business meets technology – online. Check out our profiles, we’d love to connect with you. Holly has a long and accomplished background in eCommerce having co-founded Mobicity.com.au in 2008. Mobicity (one of the “City Brands” portfolio of Magento online retail stores) went on to become Australia’s premier destination for unlocked mobile phones and after 5 years of high growth, high revenue operation, was acquired by Yatango Shopping in 2014. Having been an owner operator of a successful Magento powered eCommerce business for over 6 years, you could say Holly knows a thing or two about Magento… OK, he’s our Magento expert. Most importantly, Holly knows how Magento should be used by business to get results. Holly’s eCommerce operations focus and experience underpins Curata’s ability to provide solutions to meet our clients’ business needs. He’s got an MBA and keen interest in all things business, operations and finance. When Holly isn’t specifying and building eCommerce solutions, you’ll likely find him trading currency online or watching cricket. He is based in Hobart. Connect with Holly on LinkedIn. Steve is an experienced digital producer and web project manager, having worked both agency and client side before teaming up with Holly here at Curata. His proficiency in numerous technology platforms including Magento, WordPress and iOS has been gained over the past 8 years. Steve now focusses on, functional design, content and marketing strategy, digital production and social media advertising. Steve brings strong creative, customer service and digital production talents to the Curata team, having previously filled various roles such as video producer, audio engineer and website content editor for several startup, digital content businesses. He holds a Diploma of Technical Production (Music Industry) and BA in Tourism Management. When Steve isn’t matching up website solutions to business needs, you’ll likely find him swimming or making music in the studio. Read more about Steve on his LinkedIn Profile and send through a request if you’d like to connect. With over a decade of experience in web analytics, Eric is a powerhouse of SEO and search knowledge and consults for our SEO/Search strategy and technical implementations. He manages upwards of $250k annual PPC spend, has run 100+ A/B tests for conversion optimisation and performed website audits for multiple Fortune 100 retailers. 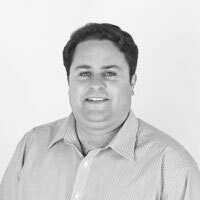 Eric has worked for a broad range of clients across industries such as eCommerce, Technology, Education, Software, Hardware, Accounting, Home Services, Film, Construction and Health Sciences. In 2008 Eric completed his MBA. Magento and WordPress are two of Eric’s specialist platforms, having done extensive work with Google Analytics, Enhanced eCommerce tracking and Google Tag Manager on both. He has also worked with a number of proprietary and custom platforms. Chris is a certified Magento developer who has worked on Magento projects with some of the biggest online retail brands in Australia. He started out with Magento since its days in beta back in 2007 and has been an advocate of Magento ever since. 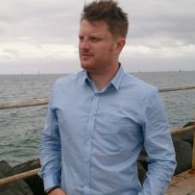 Chris now specialises as a Magento & AWS (Amazon Web Services) solutions architect, creating industry leading solutions. Chris has worked on a wide range of projects from small boutique through to large enterprise and bespoke. Chris is part of our Melbourne contingent and when he isn’t kicking goals on the big projects, he enjoys using his legs in the ring with other blokes, aka Brazilian Jiu Jitsu and Muay Thai. Chris doesn’t like cricket – there is no kicking involved. Eddie is our WordPress Consultant and assists with our web design process for our business website projects. 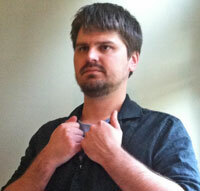 Eddie has strong front end coding abilities, having worked with WordPress for over 7 years now. Eddie holds a Higher Dip. in Digital Media Design. 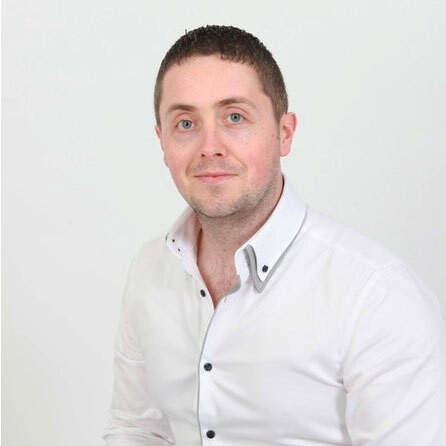 Eddie enjoys travelling, and although he previously worked at the same web and digital marketing agency as Steve, he is now based back in his homeland, Ireland. Curata’s unique approach to our team makeup allows us to work with talent, regardless of location. When he’s not coding up super functional WordPress websites, you’ll likely find him globetrotting, working out in the gym, but most likely not watching cricket with Holly and Steve.